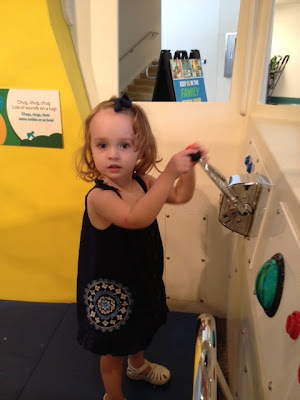 We headed to one of our favorite places this weekend: the Glazer Children's Museum. We got an early start to make the most of our morning out and we had a blast. Bella loves that place and I'm so glad we decided to become members. It will be the perfect place to go this summer when it's 90+ degrees outside or there's some big thunderstorm. Summers in Florida can be brutal and so I'm planning on spending as much time indoors as possible. Nothing is better than air conditioning when you have two kids in tow. Bella LOVES the giant water table and always ends up soaking wet. 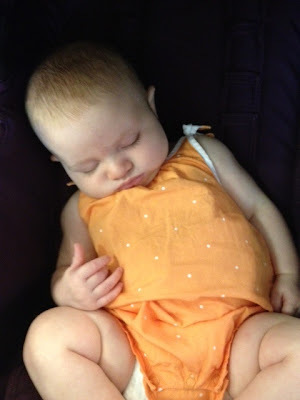 It's totally worth it, to hear those giggles and shrieks from her. 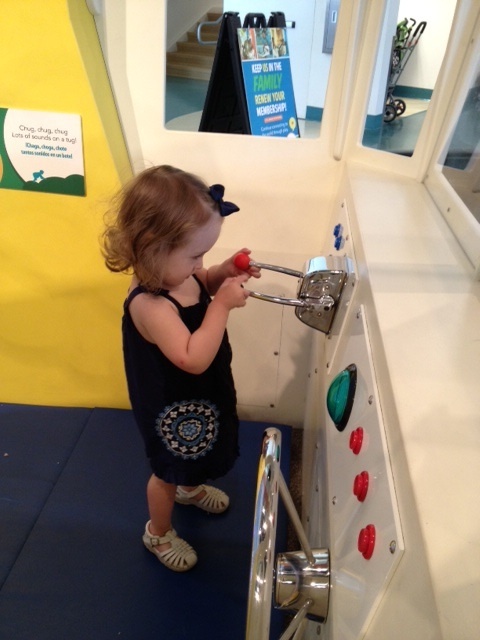 She also LOVES the pretend vet clinic, so much in fact, that she cried when it was time to leave. Maybe it's because they have a pretend "Kaisey-Boy" dog that she carried around? It's adorable. She also loves the "dance party" zone as I call it and danced alongside us to Michael Jackson's "Thriller" and Rick James' "Super-freak." Gotta love it! Cecilia is way too young to get enjoyment out of the museum, but she enjoyed walking around all morning. It's funny to think that this time next year, I'll be chasing two little girls around. I'll definitely be taking advantage of weekend trips, so that I can enlist the help of Ian. Two parents and two kids is a much better ratio than one parent and two kids. Oy vey! What am I going to do when I have two kids running in opposite directions?!? I absolutely love the weekend and I love spending time with my family. My only wish is that we had more time to spend together. I love spending as much time as I do with just my girls, but I do cherish the time we spend together, as a family of four. I wonder what this does?!? They are so cute! I remember helping raise money for that museum, and have been gone so long I've never actually been! Looks awesome, and I agree everything is more fun with daddy along.